be quiet! is justifiably famous for making some of the most technologically-advanced, and absolutely the quietest, PC equipment available. 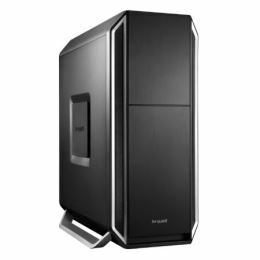 True to the motto “form follows function” the PC case Silent Base 800 Silver offers the perfect symbiosis of noise prevention and cooling performance, a good usability and an extensive capacity for high-end hardware. • Three pre-installed Pure Wings 2 fans ( two Pure Wings 2 140mm in the front, an..